Angiela Home Fab is Specialist Curtain Makers These stylish Angiela Home Fab curtain panels will modernize your decor with the crisp print. The Polyester composition will provide a clean, airy feel to any room. 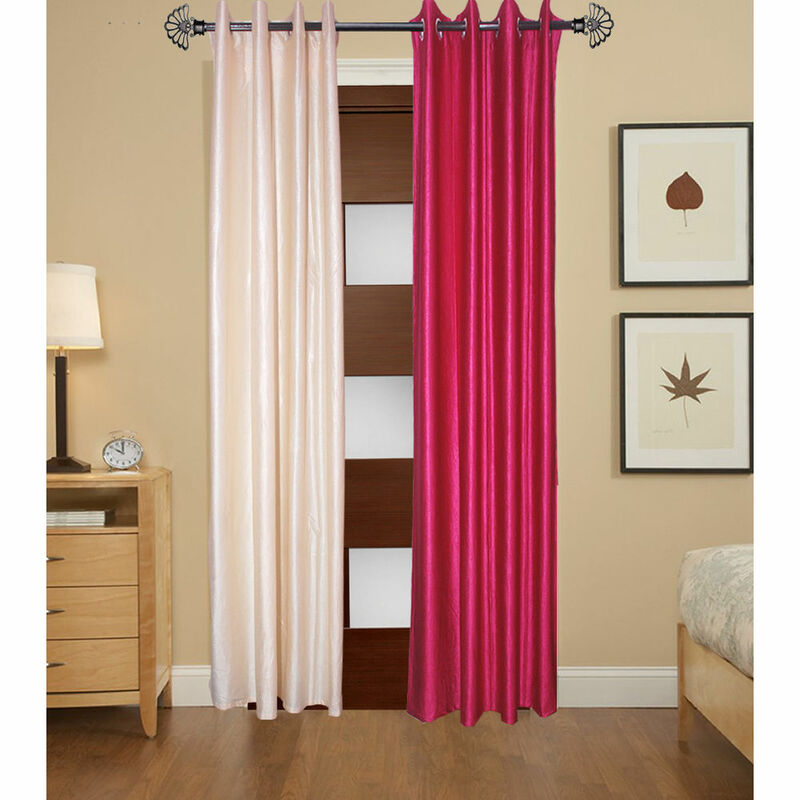 The La elite Craftsmanship is hung on your favourite curtain rod via eight (8) per panel 1 5/8 inch silver Eyelets, yet another touch adding to the richness and luxury to your decor. Perfect for your living room, bedroom, family room, dining room, bathroom, office, or any other window space that could use that perfect finishing touch. Angiela Home Fab is North India leading supplier of home textiles and ready-made drapery by delivering high fashion designs, patterns, varying textures, and colours in an "affordable luxury" quality that today's consumers expect. From classic solids to today's top fashion trends, you are sure to find panels to fit any look, mood, or style to complete your home décor project. We offer an array of fabric constructions as well, including jacquards, linens, burlap, sheers, thermal/blackout, silk and faux silks, polyester and poly blends, and cotton and cotton blend. These constructions are offered in varying designs and colours including solids, prints, textures, thickness, lengths, widths, and burnouts. Like millions of customers already have, let our window-Door coverings be the anchor of each room in your home!